Listening to music can be healing. I have created Praise and Worship songs which help bring Love, Peace, and Joy to your hearts. Some of the songs have nature sounds from Canada in the background. The songs can be purchased through itunes, Spotify, Napster, Deezer, Google Play, Spinlet, 7 digital, Claro-Musica, and other digital stores. The Utube videos display slides of beautiful nature photos from Canada. The Utube videos can be used for non-profit presentations for Church services, youth and children groups, prayer groups, retreats, other ministries, and in the classroom. The videos either have lyrics or hand gestures to follow. Please do not change or modify anything in the music presentations. 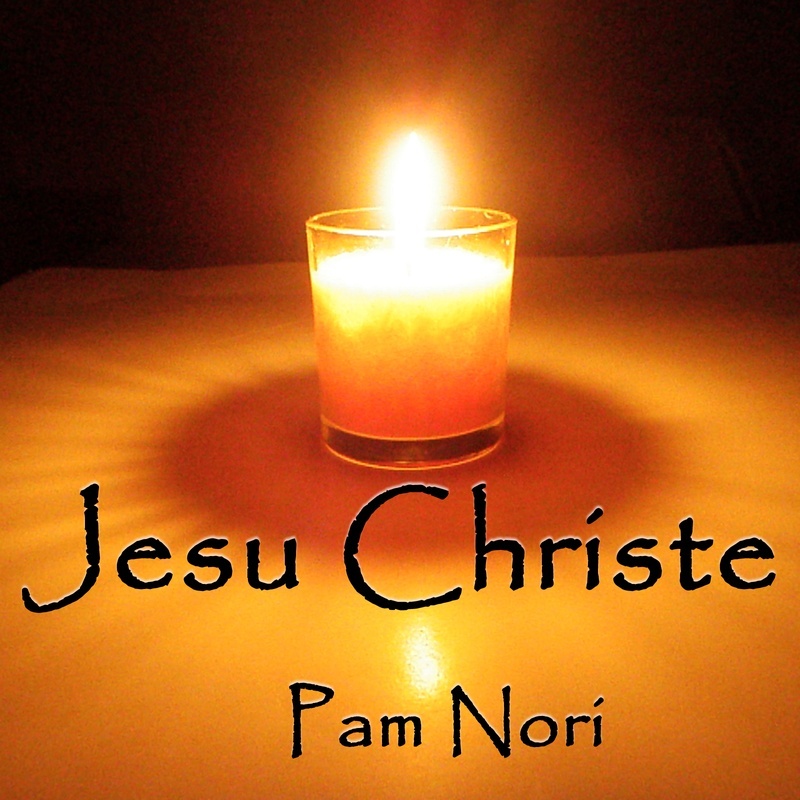 Google "Utube Pam Nori" to locate all of my music videos for use. Pam is a member of SOCAN and Tunecore. Should you have any questions, please use the Contact Me page in this website to email me or phone 705-329-4953. Thank You. My songs range from Praise and Worship, Christian Pop, Healing, Christian Rural Raps, Prolife, and modern Gregorian Chants. I created the songs to be powerful and full of love. The lyrics are clear and strong. Many of the songs are Christian Rural Raps. The rural raps are melodic as if I was singing them but I'm not. Enunciation and cadence of words as if words are instruments of their own is very important to me. The rural raps are accompanied by a rural or lake setting in the music videos. My action videos convey a joyful, child-like enthusiasm which inspires my listeners. I sing or rap my songs by simultaneously moving and dancing to the rhythms and expressing their contents through hand and body gestures. My hand gestures and dance movements are iconically self-explanatory, simple, rhythmic and easy for the youth to follow along with. For example, the heart shape formed with my hands is a stylized representation of a real heart. This visual relationship to its referent allows for processing of simultaneous information: auditory, visual and kinesthetic for children and youth. Above all, my fans have fun following along rapping or singing the lyrics, dancing and making hand gestures. This is one of my favourite songs!! I love how Cecilia Waggoner sings the Alleluias. I rap the lyrics and Kimio Oki plays slap guitar. This song was released February 2016. It is a Praise and Worship song softly rapped to slap guitar.... It has hand gestures and can be used for Christian groups to follow along with. Enjoy. I wrote and arranged Prayer for Healing for those who have health problems. This song is full of compassion and love. When you listen to the song, you can feel the Holy Spirit healing through the words and the melody of the song. Chris Jackson is the guitarist and Taylor Abram plays the keyboard. This song is a modern Gregorian chant. It is sung beautifully in Latin by Cecilia Waggoner and there is church acoustics in the background. Gregorian chants are healing songs. They are love songs for our hearts and souls. They unite our hearts with our Creator and the presence of the Holy Spirit can be felt. The song starts off as a beckoning of a mother who is calling her child home from playing outside as Mother Mary would be heard calling her son Jesu home. Defend the Truth is a slow Christian rap of encouragement. Enjoy the Canadian nature photos in the video. Fishers of Men is a Christian Praise and Worship song. Cecilia Waggoner sings it beautifully. The background ambience is waves and a song sparrow which is soothing and also fitting to the theme of the song. Jesus Be With Me is a Contemporary Christian slow rap. This song is a modern day psalm rapped to drums. Kimio Oki is the drummer. He is a member of bands which are multiple Juno award winners. https://kimiookidrummer.webs.com/ When you listen to this song, you will want to move with the music. The verses are contagious and you will find yourself reciting them. Bring Forth Life is a prolife song. Chris Jackson is the guitarist. The official utube music video can be used by non-profit groups and church groups for prolife interests. Taylor Abram of Wellcraft Studio in Lagoon City recorded and mastered most of the songs. Many blessings to Cecilia Waggoner, Kimio Oki, Giovanni Mallia and Chris Jackson who have contributed to the songs. Stay tuned for more songs in 2019. Subscribe to my utube channel www.youtube.com/channel/UCUwbu4npmY2UPWBFtBjlNCA to obtain updates during the year.